COLORADO SPRINGS, Colo. — USA Triathlon today announced the 2018 High School Triathlon State Championships calendar, increasing the number of championships from 20 to 30 in the program’s second season. The events span from March to December, with multiple stops in each of USA Triathlon’s six Regions. 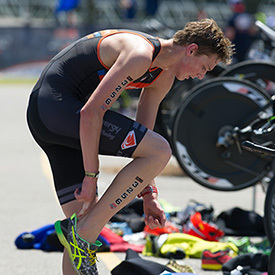 The USA Triathlon Foundation is also accepting applications for its High School Program Grant. The Foundation has committed $40,000 in 2018 to support endeavors to grow high school triathlon, and $31,000 is still available. Funding may be awarded to support new and existing high school triathlon clubs, race directors for High School Triathlon State Championships, USA Triathlon Level I or Youth & Junior Coaching Certifications, and ideas that have a long-lasting and sustainable impact on the growth of triathlon at the high school level. “We are thrilled to continue our support of the High School Program Grants, and to see the growth of the sport at the high school level with the addition of new state championships throughout the U.S,” said Jacqueline McCook, President of the USA Triathlon Foundation Board of Trustees. The application for the USA Triathlon High School Program Grant can be found at usatriathlon.org/highschoolprogram. A maximum of $1,000 may be awarded to each applicant. There is no deadline to apply, as grants are distributed on a rolling basis. For additional grant information, email highschoolgrants@usatriathlonfoundation.org. The USA Triathlon High School Program, launched in the 2015-2016 academic year, creates opportunities for high school-aged athletes of all abilities to participate in triathlon alongside their peers. The USA Triathlon High School National Championships are held each year in conjunction with the USA Triathlon Collegiate Club National Championships. The 2018 edition is set for April 27 in Tuscaloosa, Alabama; registration is open and no qualification is required.